Whoever said there’s no good wine in China? The champion of the Asian Wine Review 2016, The Summit 2013, is from China. This award-winning wine is a product of Silver Heights in Ningxia Autonomous Region, where most local people did not even notice that their land is a gift. Grapes are harvested at an altitude of 1,200 metres, blessed by the sufficient sunshine and the great depth of the stony, mineral-rich soil. Emma Gao, the winemaker of these high-quality Chinese wines, studied at Bordeaux University’s wine faculty and travelled around the world before settling back at her home to run her family-owned vineyard. Apart from her studies, her internships with well-known estates like Château Calon-Ségur paved her way to success. Emma’s winemaking business is all about quality. Her family, especially her sister and husband (a former winemaker at Château Calon-Ségur in Bordeaux), help with her business. Such a valuable family business should be cherished and appreciated by all wine lovers! Blended with 65 per cent Cabernet Sauvignon and 35 per cent Merlot, it has complex aromas of cured meats, black forest fruits, toasted spice and fine oak. The rich and concentrated ripe fruits and tannins leave an amazingly long and velvet-like finish. 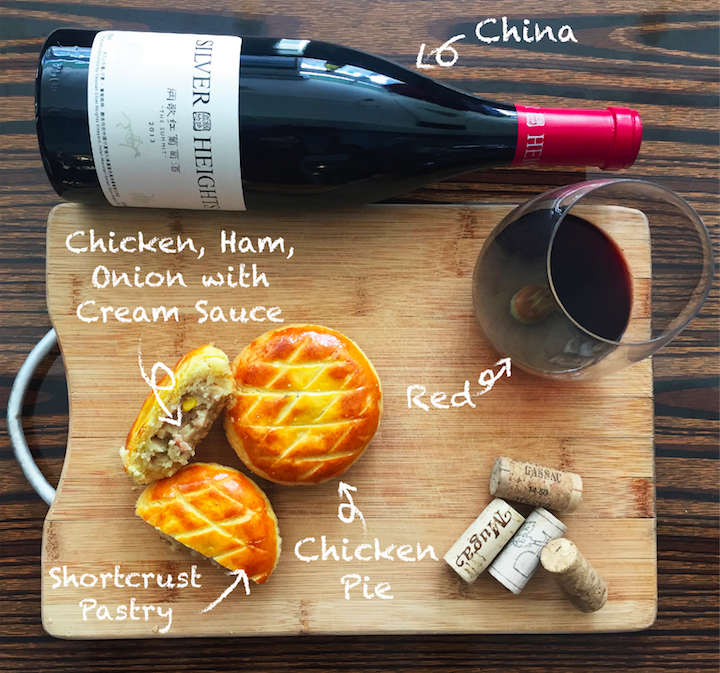 The Summit 2013 pairs well with the creamy chicken pie as its complex layers and higher tannins made it a good companion to fatty and rich flavours. Again, this is a blend between Cabernet Sauvignon (80 per cent) and Merlot (20 per cent). With fewer aromas of black forest fruits, it displays aromas of mocha, tea leaves, green pepper and red fruits. 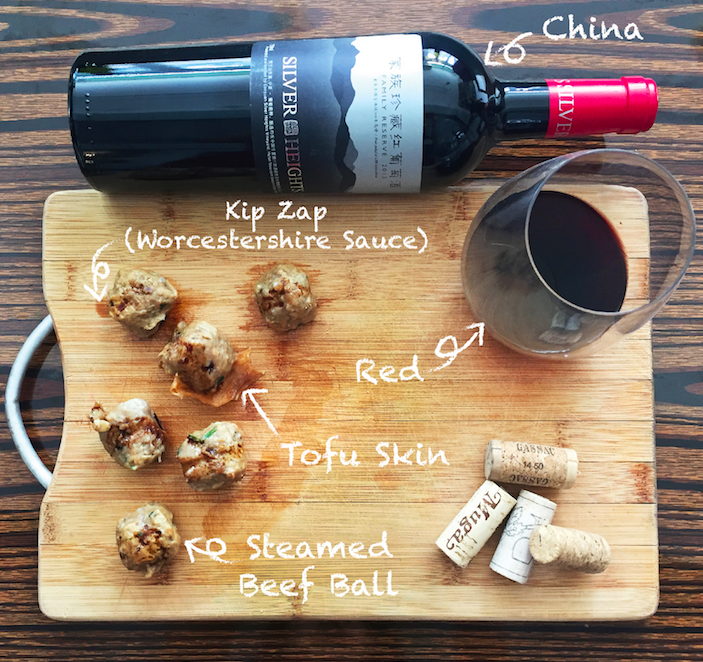 Steamed beef balls with Kip Zap Worcester sauce make this pairing unbeatable; this Family Reserve from China definitely balances well with the red meat and sauce. It is much juicier than The Summit 2013 and has firm, dusty tannins. This is another version of Silver Heights’ Family Reserve, a Chardonnay. This white is not heavy in acid or tannins but is better structured than the others. 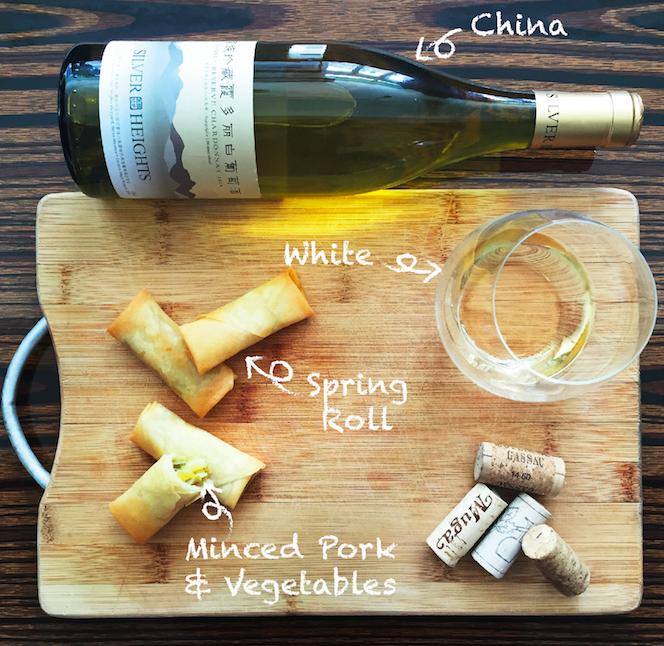 The reason why it makes a good pairing with spring rolls is because it stands out more when the food choice is not too complex. Also, if you are not fond of eating greasy food, drinking something light and refreshing like this Chardonnay while eating can be very satisfying. Stay tuned for more posts on food and wine pairings!